Good service, nice attitude. Juan Garcia explained the problem, troubleshooted and showed the regular maintenance items. Friendly Sertvice and at a great price! 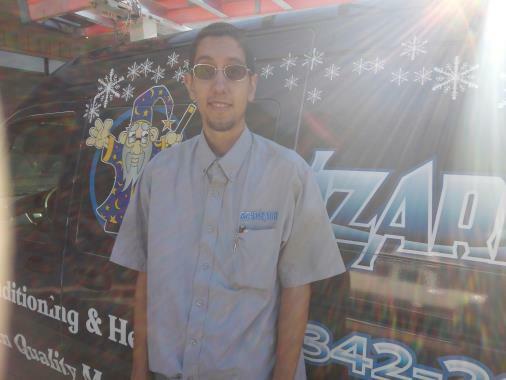 Each member of the AC Wizard Team is very friendly and knowledgeable. They go out of their way to ensure the safety of their work and I appreciate that. Best customer service and competitive rates I have found in this area. I wish I would have found them sooner! The service agent arrived and time and completed the check-up quickly. Fixed a Carrier AC that had a broken capacitor. Fixed an AC that had a short in the thermostat wires. Found a Trane AC low on refrigerant, and added leak seal to it. Fixed a Trane AC that had a broken thermostat and fuse. Fixed a fan controller on an Ac.